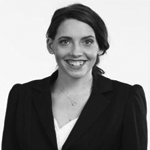 Monika has a broad commercial law practice with a particular focus on employment law and industrial relations. Monika has been briefed by employers and employees to advise and appear before the Federal Court, the Federal Circuit Court and the Fair Work Commission in matters regarding adverse action, unfair dismissal, breach of contract, industrial action and jurisdictional matters. Prior to coming to the Bar, Monika was an Associate to His Honour Judge Cosgrave, Judge in Charge of the Banking & Finance List in the County Court. As an Associate, Monika gained experience in commercial trials involving a wide range of matters including employment law, trade practices and contractual disputes. Monika is also experienced in the resolution of interlocutory disputes, including injunctive relief and directions hearings. Before becoming an Associate, Monika worked at the ODPP on the Gold Coast and in Brisbane on the prosecution of a broad range of indictable offences. Monika currently sits on the tribunal of Basketball Victoria. Monika read with Paul O’Grady QC. Her senior mentor was Paul Santamaria QC.